Geese on the Dee Estuary Part 1. Cheshire and Wirral Bird Report 2010. North-East Wales Bird Report 2010. Pink-footed Geese over Inner Marsh Farm RSPB, 2006 © Steve Round. 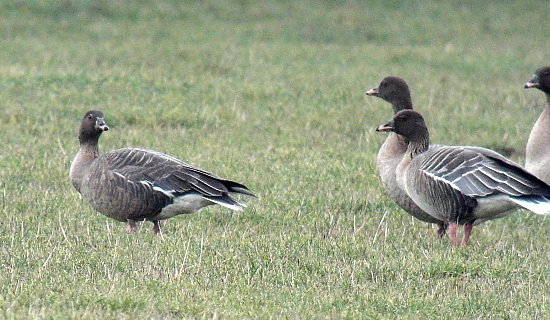 With record numbers of Brent Geese on the estuary this winter, the highest counts of Pink-footed Geese since the early 20th century on the marshes last winter and a long-staying flock of White-fronted Geese over the past couple of months I thought it an opportune time to write a couple of articles on Geese on the Dee Estuary. From the 1930s to the 1970s geese were largely absent from the estuary so it is certainly good to see at least a partial return of these fantastic birds. We are lucky in Cheshire and Merseyside that we can refer to historical records written by such authors as Coward, Hedley Bell and Hardy; but even for such relatively easily identified and countable birds such as geese it can be very frustrating trying to make sense of the data, particularly when what should be reliable sources contradict each other! Nevertheless, I find it fascinating delving into these old books, but the interpretation of this data is solely my own so if you think I have made an error, or missed an important source of information, please let me know. It was those iconic ornithologists James Fisher and Peter Scott who, in 1951, discovered the breeding grounds of the Pink-footed Geese in Iceland and confirmed, through ringing, that all the Greenland and Icelandic breeding population wintered in the UK. Through the 1950s Peter Scott estimated the population to be at least 40,000 and by 1960 an accurate autumn count gave a total of 50,000. During the next 20 years they doubled in number to 100,000 and then just carried on increasing so that now, in 2011, they have reached a massive 300,000+. I have to say we have seen very few of these geese on the Dee Estuary, but this is not really surprising when you consider the large numbers which spend the winter in Scotland. But this is where Peter Scott enters the story once again. Peter had long been aware of the Pink-footed Geese in south Lancashire and in 1975 realised his dream of opening a Wildfowl Trust Centre at Martin Mere which included a large reserve and Mere where the geese could roost at night and rest by day without disturbance, and just as important they bought the shooting rights for a considerably larger area around the reserve. The result of this was that during that decade numbers of Pink-footed Geese increased from around 3,000 in 1970 to 20,000 in 1979. Since then maximum numbers have varied greatly from winter to winter but counts of at least 30,000 are now typical and in November 2008 they reached a whopping 90,000. 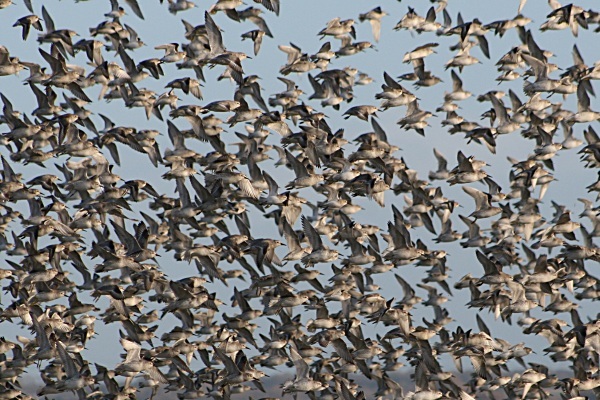 With such high numbers only an hours flight time from the Dee Estuary we started to see flocks here far more regularly. Many seem to fly direct to south Lancashire from Iceland in late September and October and after such a long journey some over-shoot and we are almost guaranteed to see flocks over the Dee Estuary and north Wirral at this time. The first ones to be seen in both 2010 and 2011 were on September 17th, a nice early date. The graph above shows max counts of Pink-footed Geese actually recorded on the ground in the Dee Estuary area, as opposed to over-flying birds, and many of these will have stayed several days or weeks. The large numbers present in early 1979 are particularly notable as these were part of a large cold weather movement out of south Lancashire after a period of severe frosts and several falls of snow. These spent several weeks in stubble fields south of Burton, additionally flocks were seen to fly over the estuary into Wales, max 1,230 in late January 1979. But it is only in the past 10 years or so that we have seen regular flocks over-wintering here, the majority of these have been off Parkgate but geese were also at Shotwick Fields, Inner Marsh Farm and Warren Farm at Point of Ayr. It may well be that the vegetation on the marsh at Parkgate has changed over the years and is now more to the liking of the geese. The 2,000 in 2011 were counted during a spring tide on February 19th with birds on the edge of the marsh off Parkgate and Neston. Earlier in the year up to 1,685 fed on the Shotwick Fields. On Dec 31st there were 500 in fields south-east of Burton and 148 on Parkgate Marsh where only their heads could be seen peering at a Hen Harrier and there could have been many more hidden in the long grass. We also see birds overflying the estuary, sometimes in many thousands. Where are these birds coming from and going to? During the 1970s, when numbers were soaring in Lancashire, virtually none were recorded in Norfolk. But this was due to change with the geese getting a taste for sugar beet, there was a sharp increase in Norfolk during the 1980s and they had reached around 35,000 by 1990 with numbers now currently reaching as many as 100,000 at times. The Dee Estuary lies between these strongholds and there is undoubtedly much movement between the two areas. Larger numbers probably pass further north from us over Cheshire on a route which would take them north of Liverpool, but we do see plenty flying over the estuary usually flying north-west from Norfolk and it is interesting that during a big movement the first birds arrive here about 11am, just enough time for them to have flown from the Wash if they had left at first light. 1991 saw the first large over-flying flock in recent times with 1,500 over Wallasey in February. Most of the other large records were of birds flying north-west down the estuary, usually over Hilbre and Heswall, and there were max day counts of 2,000 in 2003, 5,000 in 2004 and a further 5,000 in 2007. February 6th 2010 saw a particularly large movement flying north-west over the whole of Cheshire, including the Dee Estuary. We had about 1,000 here in several flocks but over the whole county at least 6,000 birds were involved, with possibly as many as 10,000 or more. Whatever the numbers watching these flocks flying over is a truly awesome and magical experience. Pink-footed Geese in fields near Thurstaston,2007, © Charles Farnell. Coward, writing in 1910, said that 'the Pink-footed Goose is undoubtedly the goose of the Dee Estuary'. He also said 'that many years ago the flocks .. are said to have been much larger than they are today', although there had been a recent increase and that numbers currently then were between 800 and 1,000. This may not seem much but remember this is a much bigger percentage of a significantly smaller population, the equivalent of having 10,000 birds today. Numbers continued to increase for a short while and the 1953/54 MNA Report states that flocks of up to 2,000 visited the Dee until 1928*. At that time, of course, there was little in the way of marsh at Parkgate and even at Burton the marsh would be a much smaller area than today. Birds appeared to have used Shotwick Fields extensively and the area which is now the Rifle Range. Farrar, writing in the 1930s, mentions Pink-footed Geese having deserted their old haunts on the Dee and moving to the potato fields of south Lancashire (no exact date is given but impression is that this happened not long after the end of the First World War and certainly before 1930). He goes on to say 'the geese of the Dee estuary may be said to be conspicuous by their absence', the reasons given are increased disturbance due to industrialisation including a new road to 'Shotton Iron Works', low flying planes and that 'many more guns are out on the marshes at all hours of the day and night'. So it would appear that, apart from the very occasional wandering small flock, Pink-footed Geese were absent from the Dee estuary from 1928* to the late 1970s, and it is certainly good to see them back. I will leave you with one memory of mine from last winter. I loved seeing the large flock of geese off Parkgate and those that were feeding on Shotwick Fields, but the day I particularly remember was in February during the spring tides. I was at Riverbank Road, Heswall, and there was about 500 Pink-footed Geese there scattered everywhere across the marsh in small flocks, some feeding others flying. It was such a fantastic site that it reminded me of Islay - high praise indeed! * Atkinson-Willes contradicts both the MNA and Farrah by stating that the 'the largest numbers being in the early 1930s, when up to 1500 were sometimes present'. I'm inclined to believe the latter two sources as they are of local origin, and that may be Atkinson-Willes is out by a decade. 1. Cheshire and Wirral Bird Reports 1964 to 2010. 2. Clwyd/North-east Wales Bird Reports - various to 2010. 3. Latest Sightings archive - www.deeestuary.co.uk (many thanks to everyone who sent their sightings to me). 4. Wetland Bird Survey Reports, 1995-96 to 2009-10. 5. Iceland Breeding Goose Census Reports, 1980 to 2010, WWT. 6. Goose News, Issue 10 Autumn 2011, WWT and JNCC. 7. T.A. Coward, The Fauna of Cheshire, Witherby, 1910. 8. G.B. Farrar, Feathered Folk of an Estuary, Country Life, 1938. 9. T. Hedley Bell, The Birds of Cheshire, Sheratt, 1962. 10. Eric Hardy, The Birds of the Liverpool Area, T.Buncle & CO, Ltd, 1941. 11. G.L. Atkinson-Willes, Wildfowl in Great Britain, HMSO,1963. 12. David Cabot, Wildfowl, New Naturalist No.110, Collins, 2009. 13. A.J. Prater, Estuary Birds of Britain and Ireland, T&AD Poyser, 1981. 14. Peter Scott, The Eye of the Wind, Hodder and Stoughton, 1961. 15. Merseyside Naturalists' Association Bird Report, 1953/54. 16. 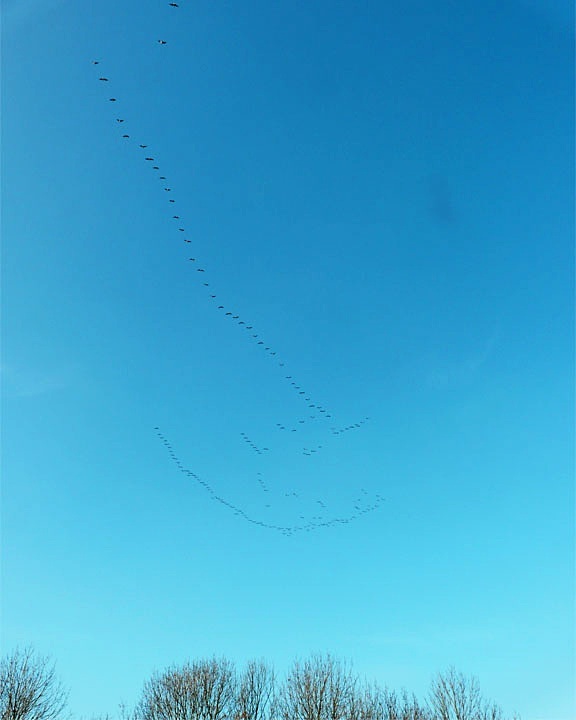 Tony Broome, Pink-footed Geese Movements on February 6th 2010, C&W Bird Report 2010. Thanks also to Steve Barber for additional information and for pointing out reference material which I had missed or forgotten about. Pink-footed Geese high over the estuary, February 6th 2010 © Peter Bond. The first thing to strike you about the latest North-East Wales Bird Report is Ashley Cohen's superb photograph of a Slavonian Grebe on the front cover - first published on this website!! There are many more excellent colour photographs in the report - 15 in total - as well as many sketches and black and white photos. Nearly all species come with a distribution map which is an excellent way of seeing where to see the birds in the area, and there are lots of bar charts giving extra fascinating detail. Some may not realise that both Conwy RSPB and part of Inner Marsh Farm RSPB are in the area covered by this report and it is an excellent way of catching up with what was present at these two excellent reserves in 2010, additionally there is an article titled 'RSPB Conwy nature reserve: 2010 review' giving further details. Both the above RSPB Reserves hold stocks of the report (£5.00), and copies can also be sent by post to you - please see the Clwyd Bird Recording Group Website for details: www.cbrg.org.uk. 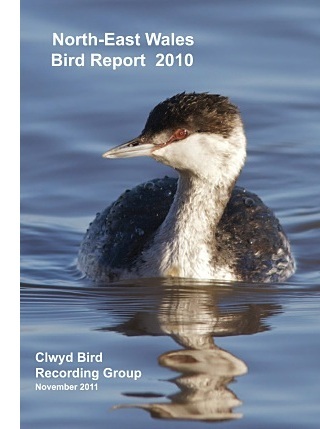 We’re delighted to say that the annual Bird Report for 2010 will be available from January 2012. The eye-catching colour front cover this year is of a Sabine’s Gull, a sought-after rarity on Wirral. With a new layout for this Report, the text is condensed to 184 pages, which includes 96 maps, graphs and tables, and 13 beautiful illustrations from two different artists. As usual, the colour map of the county forms the centre spread of the Report. A total of 17 colour photographs, which best capture some of the highlights of the year, are spread over seven full pages. • Cheshire and Wirral is the most important county in Britain for breeding Grey Herons; so this comprehensive article shows the threefold increase during the 31-year period 1980-2010. • Highlight of the year was the discovery of the first breeding of Marsh Harriers in our county. • Hobby, an increasing summer visitor to Britain, is considered a difficult species to census, so this is the first time an estimate has been made of the population in our county. • The results of a survey of wintering Goosanders in Cheshire and Wirral, undertaken during 2009-2011. • A welcome report of the acceptance by BBRC of the Iberian Chiffchaff at Dibbinsdale from 2004. • It took two frustrating days to confirm the identification of a ‘mobile’ marsh tern – as a juvenile Whiskered Tern. • Another article recalls the excitement of finding a Lesser Yellowlegs at Inner Marsh Farm. • For two observers, even their combined 40 years of serious gull-watching had not prepared them when they came across an almost black large gull on Richmond Bank. • The results of a survey of warblers and a repeat census of Rooks, both undertaken in Cheshire and Wirral during 2010. • The second record of a confirmed breeding attempt of Common Terns in the county and the first record of fledged young. • A description of the second proven breeding of Cetti’s Warbler in Cheshire. 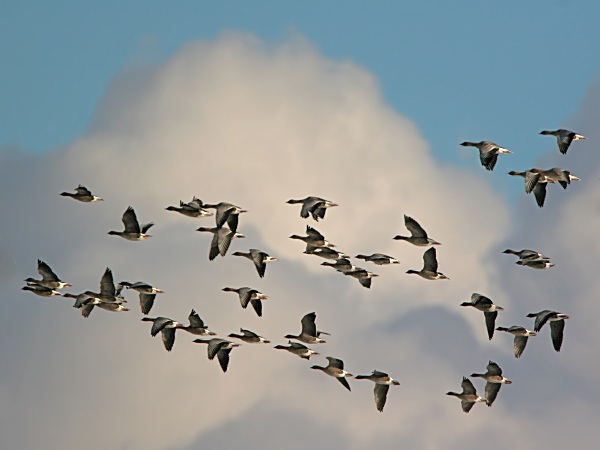 • A fascinating description of an early spring exodus of Pink-footed Geese from East Anglia on their migration to Iceland and Greenland via the Lancashire mosses. • Finally, following the relatively severe winter of 2009/2010, the Breeding Bird Survey (BBS) results for 2010 look in particular at species resident all year. All the ‘regulars’ are there: ‘Weather and Bird Review of the Year’; the full ‘Systematic List of Birds Recorded in Cheshire and Wirral during 2010, including ‘Category E Species’; ‘Early and Late Dates for Migrants’; ‘BBRC and County Rarities Decisions’; ‘Ringing Report’; ‘Chairman’s Review’; ‘Database Statistics for 2010’ and finally, advice on the ‘Submission of Records’, including rarities. Last, but not least, we have again included a Species Index at the back to help you quickly look up your favourite species. Editor's Note: These should also be available from Burton Mere Wetlands RSPB and Thurstaton Visitor Centre. Knot flying over Oakenholt Marsh, December 13th © Daniel Carrington. When I received Colin Schofield's email saying he had counted 216 Brent Geese on Hilbre on the 12th I thought that has got to be the highest count for 2011, but perhaps the record would be broken again in the New Year. I was therefore amazed when the very next day 234 landed on West Kirby shore, I was a bit annoyed, however, as I had been down to do the wardening that day and had swapped to a different day so missed this record high count! My annoyance was somewhat mollified when on my next stint of wardening, on the 28th, we saw flight after flight coming in to West Kirby with a final count of at least 262. As these geese usually don't peak until January you wonder just how many we will finish up with this winter!The previous record was of 212 on West Kirby Shore on Jan 23rd 2011. The month was dominated by windy, wet and mild weather - what a contrast from last year! I much prefer cold and still conditions but you have to take what you get and, considering the conditions, birding wasn't too bad. Birds blown in by the southerly gales included Gannets which we had for most of the month, these are usually very rare in December, 22 were counted on the 5th. A few Great Skuas were also seen including three off Hoylake on the 7th. Other good birds included a Pomarine Skua (3rd), Leach's Petrel (5th), 5 Velvet Scoter and over 2,000 Common Scoter (11th), all off Hilbre. A pair of Long-tailed Duck in the gutter at Hilbre on the 9th was a good record. Another rare duck was a Green-winged Teal at Burton Mere Wetlands on the 6th and 7th. 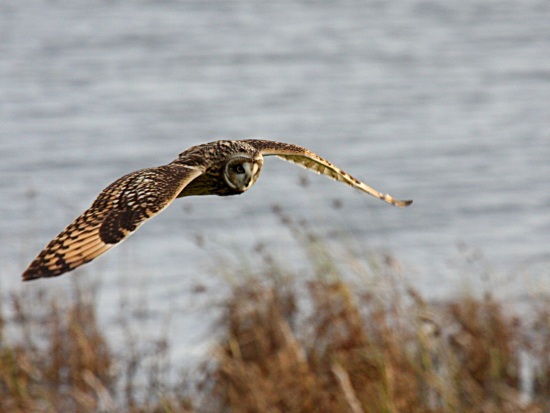 Short-eared Owl at Burton Mere Wetlands, December 20th © Paul Brady. A Great White Egret was present on the marshes all month, although somewhat elusive. Nine Short-eared Owls on Burton Marsh was the highest count, a bit disappointing after the 20 present in November, but one gave some superb views from the Reception hide at Burton Mere Wetlands, even flying underneath it a couple of times! Three Hen Harriers was the highest number counted into the roost at Parkgate, there was also a Marsh Harrier recorded on the 12th. The White-fronted Geese present last month remained all month with 14 at Burton Mere Wetlands from 14th to 18th and a remarkable 40 on the 27th which could well be the highest 'on the ground' count for the Dee Estuary for over 40 years. 19 Purple Sandpipers and 370 Turnstones was a good count on the 28th roosting on the pontoon on New Brighton Marine Lake, otherwise wader numbers were generally lower than last winter but 16,000 Knot between West Kirby and Heswall on the 22nd wasn't a bad count. Fieldfare at Leasowe, Dec 17th © Jeremy Bradshaw. Many thanks go to David Haigh, Pete Marsden, Brian Lingard, David Esther, Mike Davenport, Damian Waters, Mike Hart, Eddie Williams, Steve Hinde, Richard Beckett, Nick Isherwood, Ray Eades, Peter Forshaw, Tanny Robinson, Tony Kendrick, Alan Hitchmough, Ken Mullins, Paul Mason, Bruce Atherton, Steve Williams, John Jakeman, Steve Hasell, Mark Evans, Daniel Carrington, Charles Farnell, Greg Harker, Paul Brady, Chris Butterworth, Kenny Dummingan, John Nicklin, Dave Wild, Matt Thomas, Jeremy Bradshaw, Jane Turner, Paul Vautrinot, David Small, Andrew Wallbank, Mark Johnson, Colin Schofield, Martin Kelly, Graham Thompson, Dan Trotman, Frank Burns, Jeff Stephens, Barry Darby, Sidney Gough, Di Hannay-Lee, Dorothy Jebb, Phillip Carr, Tim Baldrock, David Bloomfield, the Dee Estuary Wardens and the Hilbre Bird Observatory for their sightings during December. All sightings are gratefully received. It may be the middle of winter but there will be plenty going on this month. A lot depends on the weather and there is still time for a prolonged cold snap although there is certainly no sign of it as I write. Cold weather will bring cold weather movements with an influx of Fieldfares, Woodcock etc, and an increase in waders, especially Knot, and Pink-footed Geese and wild swans, and hopefully a flock of Scaup. A continuation of the current mild weather and strong southerly winds could bring in just about anything on the sea including Gannets and perhaps a skua or two and even a wandering tern, maybe even a Leach's Petrel. Whatever the weather we should get Red-throated Divers and Great Crested Grebes and hopefully a selection of rarer divers and grebes. Look out for the odd small flock of Twite on the English shore of the estuary, much larger numbers should be present around Flint and Connah's Quay. Snow Buntings could be at Point of Ayr and Hilbre, maybe Red Rocks as well, and if we are very lucky Shore Larks may turn up. Knot catching the sun at Thurstaston, December 23rd © Frank Burns. 12th January, 12.57hrs (GMT), 9.5m. 25th January, 12.22hrs (GMT), 9.6m. 26th January, 12.58hrs (GMT), 9.5m. Also see 2012 Events Diary. Wednesday 11th January, 10am start, Wader Cam on the Hilbre Islands. 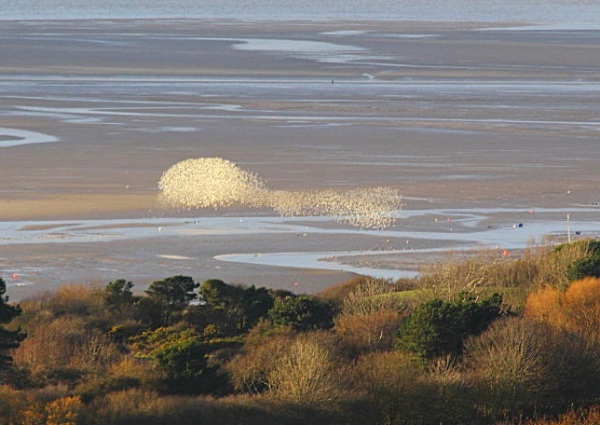 Watch the waders gather on the Hilbre Islands as the high tide pushes them closer and closer together. However, this is wader watching with a difference – we’ll be observing them from West Kirby Marine Lake car park via a remote camera and screen funded by the Wirral Country Park Recording Group. High tide at Noon. No need to book, meet at the Marine Lake car park. For more information call Wirral Country Park on (0151) 648 4371. Saturday 14th January, 10am start, Mud, Glorious Mud! The mudflats between Thurstaston and Lower Heswall are a fantastic feeding area for thousands of waders and wildfowl over the winter months. The fields around Thurstaston are also a great place for wildlife. Join the Rangers for a walk around these special habitats to see what birds come our way. We will arrive at Heswall Fields as the tide starts to flood the mudflats and the birds are pushed close to shore. No need to book, meet at the Thurstaston Centre. Please wear suitable waterproofs and shoes/boots. Call the centre on (0151) 648 4371 for more info. Sunday 22nd January, 10:00am - 12:00pm, Winter Bird Walk - Royden Park. 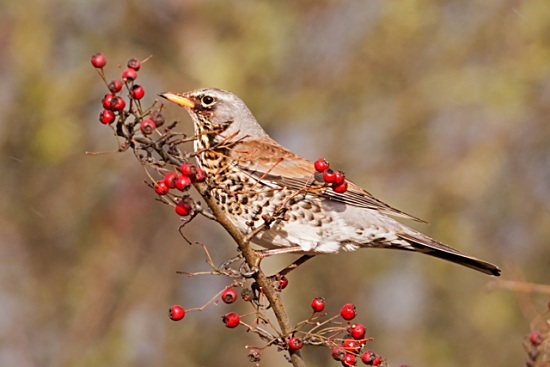 Discover with the Ranger the wealth of birds that visit Royden Park and Thurstaston Common during the Winter months. Meet at the Rangers Office Royden Park. Please wear suitable clothing. Sorry no dogs. Telephone: 0151 677 7594 for more info. Sunday 22nd January and Monday 23rd January, Big Garden Birdwatch at RSPB Burton Mere Wetlands. 10am to 3pm. Get ready for the RSPB's Big Garden Birdwatch, and learn how to get the best out of your garden with experts from the RSPB on hand to help throughout the weekend. There’ll also be a chance to learn how to make a simple yet effective treat for your garden bird friends. Free for members, cost of entry for family £6 (if non-members), no need to book. Ring 0151 353 8478 for further info. Year of Coast & Countryside – NATURE’S CALENDAR – Hilbre Island Winter Specials. Stay over the tide on Hilbre Island with the Coastal Rangers and members of the Wirral Country Park Recording Group, looking for Brent geese and Purple Sandpipers around the island and divers and grebes offshore. This event is part of Wirral’s Year of Coast & Countryside. Warm waterproofs, suitable footwear and a packed lunch are essential. Booking essential, ring 0151 648 4371. Sunday 29th January, 2.30pm start, RSPB Raptor Watch at Parkgate. Pop along at any point until sunset for great views of the rare hen harrier. Merlin, Peregrine and Short-eared owls are also a regular sightings here. Meet at Old Baths car park overlooking the marsh. Ring 0151 353 8478 or 0151 336 7681 for more info. Thursday 9th February, 10am start, approx 2hours. RSPB Flint Point and Oakenholt Marsh Walk. The marshes off Flint and Oakenholt are perhaps the most important part of the famous Dee estuary so why not come along for a gentle stroll to find out why. Friendly staff and volunteers will be on hand to point out the birds with telescopes. We hope to see thousands of wading birds being driven in by a rising tide including spectacular numbers of black-tailed godwits, oystercatchers and dunlin. Other specialities of the area include twite, peregrine and pintail. The area is quite exposed so please bring weatherproof clothing and good walking footwear. Meet at Flint Lifeboat Station car park next to Flint Castle. This is a free event but booking is essential - please ring 0151 353 8478 or 0151 336 7681. Saturday 11th February, High tide Birdwatch at King’s Gap, Hoylake Shore, starting at 11:00 am. You will discover why Wirral’s foreshore is an internationally protected site when you join the Dee Estuary Voluntary Wardens, Coastal Rangers and the RSPB on this winter birdwatch at Hoylake. Organised as part of Wirral’s Year of Coast and Countryside. High tide at 1pm, height 9.8m. No need to book. Ring 0151 648 4371 for further info.